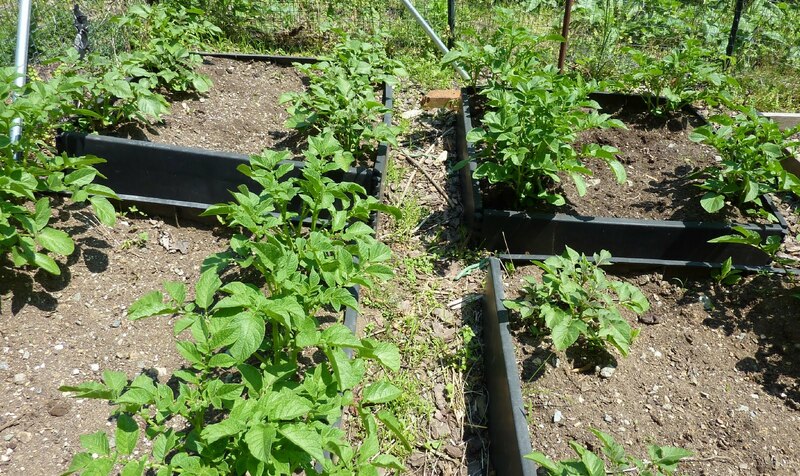 How wide the paths should be in a well-designed vegetable garden is an issue that often gets neglected until it’s too late. Read what the ever-delightful Carol at May Dreams Gardens has to say on the subject. Personally, my main path is wide enough for my garden cart to maneuver down and (just barely) turn sideways to dump a load of compost/whatever into my raised beds, so about 3 feet. Between the beds I have smaller paths (about 18 inches). Between the 3×3′ beds in which I currently have potatoes, the paths are too narrow (less than a foot) and I really need to relocate the beds next year. You should have seen them when I had tomatoes in them two years ago. Jungle! 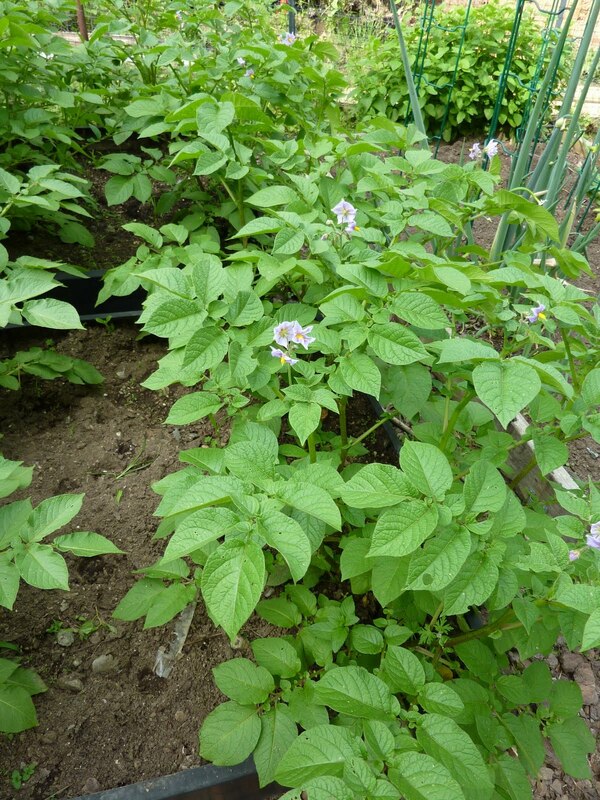 By the way, don’t grow potatoes in 3×3 beds that are already full of soil. Digging “trenches” and relocating the soil for hilling up is a challenge, to say the least. Though my taters are doing brilliantly, as long as I keep up with the three-lined potato beetles attacking them, and I know they already have mini-tubers on them, since I had to dig down into the soil to burrow out the Jerusalem artichokes that were coming up where I was sure I’d removed all of last year’s. Ha. Potatoes last week; where did the paths go? Good information. I made my paths 2 feet in some areas and 3 feet in others depending on what I planted.